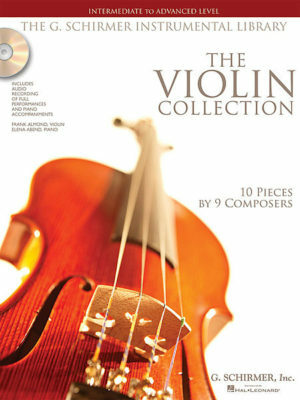 The Violin Collection Intermediate to Advanced Level includes solos appropriate for advanced high school students or college music majors, this collection presents staples of the standard violin literature. 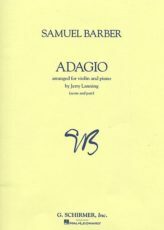 Series: String Solo with Piano Accomp. Theme from Schindler's List (John Williams). 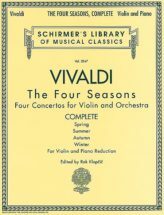 Bach J.S., Barber S., Beethoven L., Dvorak A., Franck C., Mozart W.A., Previn A, Tchaikovsky P., Williams J.
Vivaldi The Four Seasons Complete for Violin – Schirmer ed. 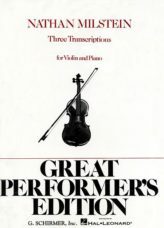 3 Transcriptions for Violin (Milstein) – Schirmer ed. 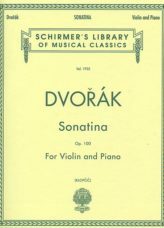 Dvorak Sonatina For Violin – Schirmer ed. Barber Adagio For Violin – Schirmer ed.